Explore your passion for film, animation and games design at Griffith Film School. 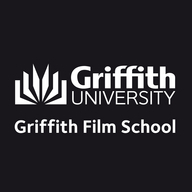 At Griffith Film School, we’re preparing the next generation of filmmakers, animators and game designers for creative and exciting careers within the international business of film, television and digital screen media creation. Learn from expert industry practitioners and academics, teaching cutting-edge creation for multimedia and digital game development, 2D and 3D animation and effects and screen production. Collaborate with Queensland College of Art and Queensland Conservatorium students and engage with industry connections. Practice your craft globally as an innovative storyteller.